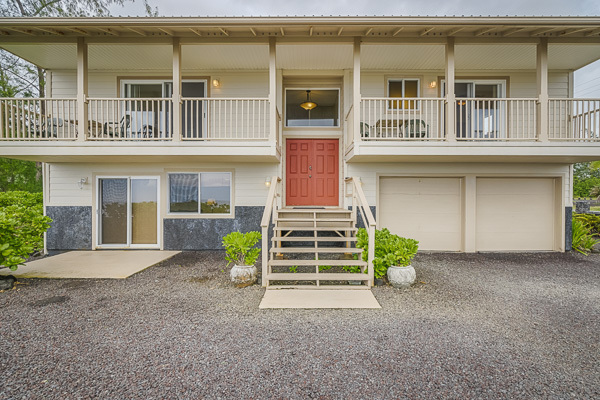 Mele Kohola is on the East side of the Big Island of Hawaii on the flanks of Mauna Loa and Kilauea, just a short distance from the convenience of Hilo and Pahoa town and just off of the 13, conveniently positioned for easy access to the 11 and the tropical rainforests of Volcano National Park. Hawaii is both the youngest and the largest of the major islands in the Hawaiian chain. 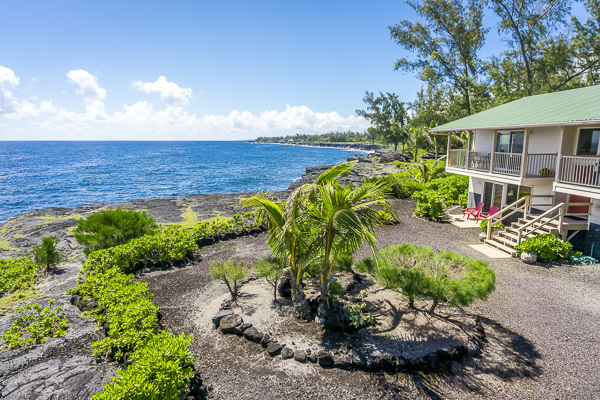 As the youngest island, it is characterized by gentle slopes, rich soil, and tall volcanos that offer widely varying climate terrains from dense tropical rainforest to desert and from tropical to alpine. 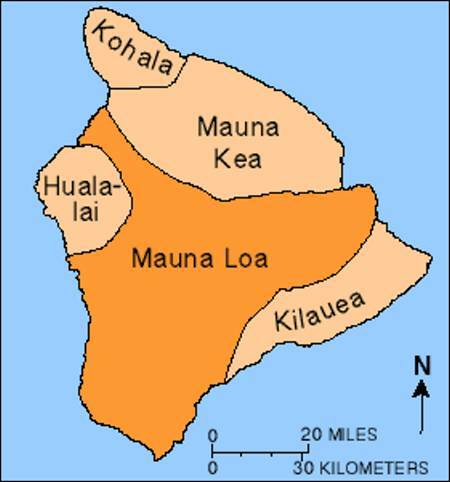 The island of Hawaii includes five volcanos: Mauna Loa (Hawaiian for the "long mountain", extending for over 120km), Mauna Kea (Hawaiian for the "white mountain" so named for its snow capped summit), Kilauea (the youngest and most active volcano on the island), Hualalai (beneath Kona) and Kohala (the oldest volcano on the island). Mauna Loa is the largest volcano on the island of Hawaii and, if measured from it's base, one of the largest mountains on Earth. 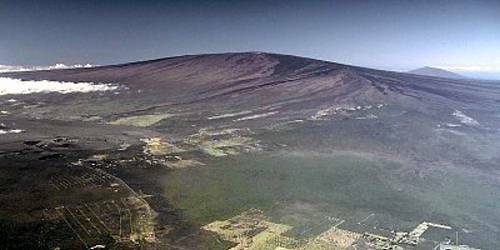 Mauna Loa rises more than 4 km above sea level and descends another 5 km to the sea floor. 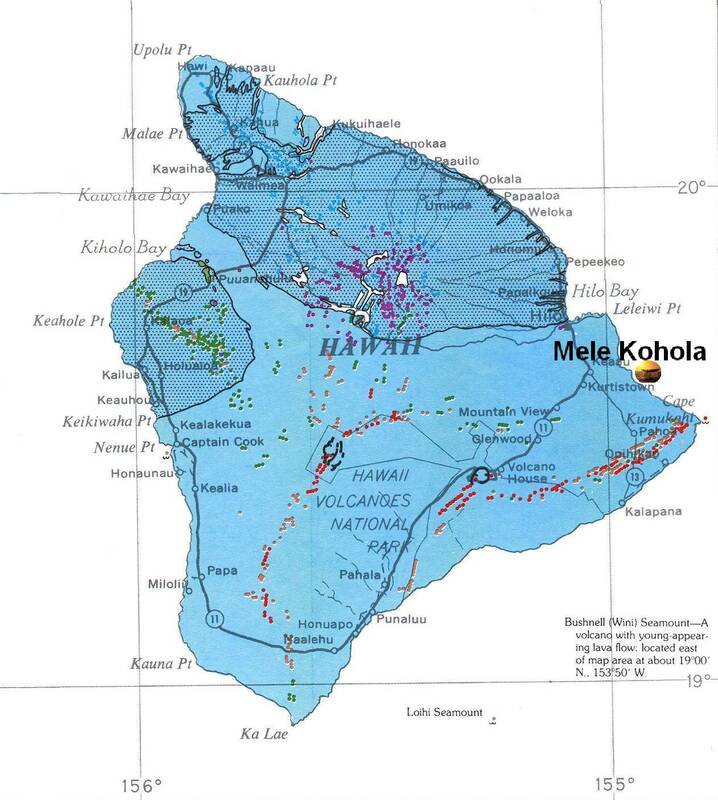 The crushing weight of Mauna Loa depresses the sea floor resulting in another 8 km to the base of Mauna Loa, making it's true height approximately 56,000 ft.
Kilauea is the most active volcano on the island of Hawaii. If you travel down the Chain of Craters Road, you can see the remains of dramatic lava flows as they burned through the lush Hawaiian landscape. 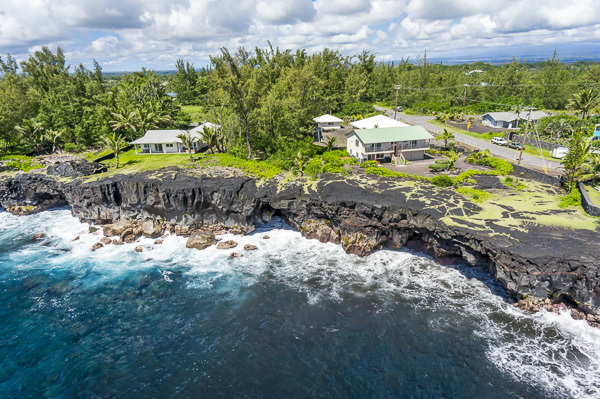 As you hike past the Holei sea arch, you can see where recent flows destroyed the coastal highway, scorched street signs still showing above the lava. 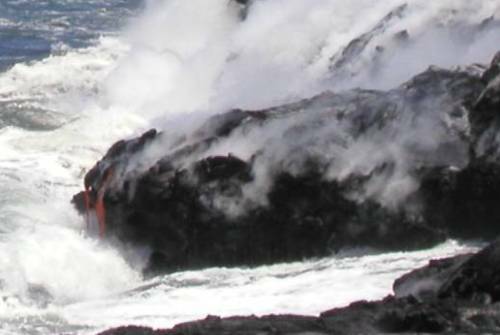 If you hike perhaps a mile further down the coast and, ironically, directly over the tubes through which the molten lava still flows, you can watch as red streams of glowing lava enter the ocean in huge plumes of sulfurous steam. Mauna Kea is Hawaiian for White Mountain, so named for the snow that caps its tall peak in winter. If you look closely, you can see the Mauna Kea observatory domes at the peak, placed there to take advantage of some of the clearest sky views on the planet. Mauna Kea last erupted over 4,500 years ago. 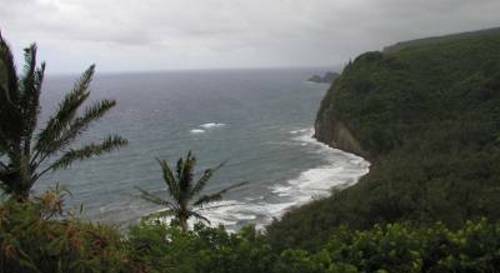 Her Eastern slopes form the dramatic cliffs and waterfalls of the Hamakua coast. 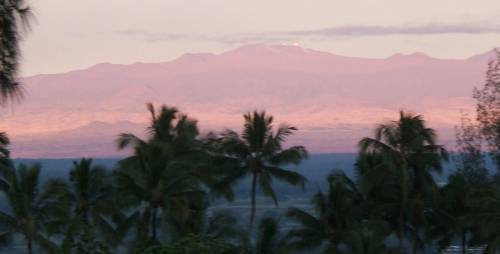 Kohala is the oldest volcano on the island, having last erupted over 60,000 years ago. The rugged cliffs and caves of North Kohala once hid a young King Kamehameha from the rulers he was prophesized to depose. There is still a large boulder in Kohala which the young chief moved against tremendous odds, proving his right to rule the kingdom. The penalty for a failed attempt to move the sacred boulder was death.